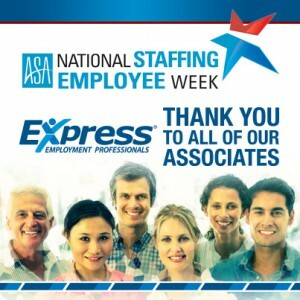 This week was National Staffing Employee Week in the United States, and Express is proud to work with so many outstanding associates every week. If you’re a temporary or contract employee, you probably already know the many benefits of temporary work, including flexibility and the opportunity to try out different job fields. To further shed light on these benefits, we’ve compiled six Movin’ On Up articles that highlight the role of staffing agencies in your career path. Thank you to our Express associates for your hard work and dedication.